Welcome to this weeks IMM! I had a life anyone would kill for.Then someone did.The worst part of being dead is that there’s nothing left to live for. No more kisses. No more secrets. No more gossip. It’s enough to kill a girl all over again. But I’m about to get something no one else does—an encore performance, thanks to Emma, the long-lost twin sister I never even got to meet. From Sara Shepard, the #1 New York Times bestselling author of thePretty Little Liars books, comes a riveting new series about secrets, lies, and killer consequences. After their beautiful yet brief bonding ceremony in Italy, Schuyler Van Alen and Jack Force are forced to separate. To fulfill the Van Alen Legacy, Schuyler travels to Alexandria to search for Catherine of Siena and the Gate of Promise. But Schuyler quickly discovers that everything she believed about the Gate to be wrong. Meanwhile, Jack makes the difficult decision to return to New York to face his twin and former bond mate Mimi. But instead of a bitter reunion, he is faced with a choice for which there is no good option. Oh boy, am I excited to read these two books! I can't wait to read Lost in Time. I've been reading the Blue Blood series ever since the first book came out and there still coming! Also, I met Melissa at the Smart Chicks Tour and she is amazing! Now, as you all probably know, Sarah Shepard is the author of the hit book series Pretty Little Liars. Which is also a TV series. 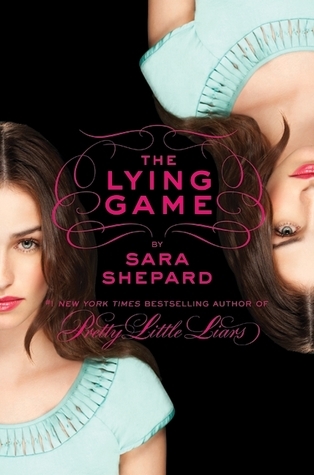 I personally have only watched a few episodes here and there but my best friend is a huge fan of The Lying Game TV series which is based on Sara's new books. Anyways my friend fell in love with the show and introduced me to it. And I have to say it is pretty EPIC! But sadly, last Monday was the mid-season finale which means that I have to wait all the way till January. So... what better way to wait than to read the books?! Awesome! You got THE LYING GAME. I love the PLL series, but I haven't gotten around to reading TLG yet. Great books this week! I love The Lying Game TV show and I don't know why but I'm scared to read the book. Hope you enjoy your books and Happy reading! Those look like really fab reads. Oooh, I really want to read both of these! :) I haven't read any of the Blue Bloods novels yet! Everybody loves Sara Sheppard. I hope you like the books you got this week. Have a nice weekend. Wow, Lying Game sounds really good! Thanks for stopping by my IMM. 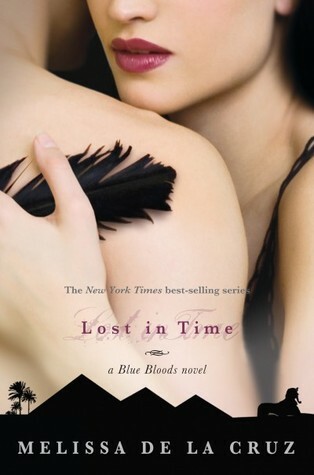 I am in love with the Blue Bloods series, I also picked up Lost in Time. And then, The Lying Game was a great read. I am very suspicious of Charlotte's dad but it might just be me. Have fun reading both of them! Thanks for commenting on ours! I bought The Lying Game last year and still have yet to read it. I've heard good things about it. So I should probably read it soon :) I hope that you enjoy your new books! I really enjoyed The Lying Game! I started the Blue Bloods series but never got a chance to continue it. I really need to get busy and read the second one before I completely forget the first one (it might be too late, I'm not sure I remember it at all). Nice! Haven't read these, but hope you enjoy them!! lost in time looks great! i've never read the pretty little liars books. I have the Lying Game at home but I have yet to get to it it sounds really cool. Great set! I loved The Lying Game. I want to read the new Blue Bloods book. Hope you enjoy The Lying Game as much as I did. The second book is out called Never Have I Ever, but I've not read that one yet. I got Lost in Time too! And I also met Melissa at Smart Chicks- I was so excited. It's great meeting authors. I liked the Lying Game so I hope you like it too! Overall you got two awesome books... Enjoy! I;ve been kinda absent bcs Im on exams period @_@ sux!! Thanks for stopping by my mailbox! OOHHH! You got The Lying Game!!!!!! I've been dying to read that!!!! Enjoy your books!! !